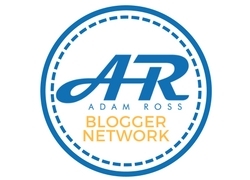 Sorry about the long gap in blogging! This has been mainly due to a large number of issues with my house which has required a lot of work to be done and clearing out 20 years worth of stuff from the loft and in random places (yes I am a bit of a hoarder)! 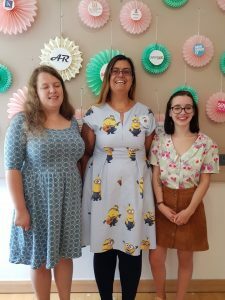 There’s still a lot more to do with the house but I want to blog as I’ve recently been to the most amazing sewing weekend and wanted to tell you all about it! 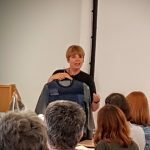 I was soooooooo pleased to actually get a ticket to The Sewing Weekender back in May, especially as they sold out in approximately 6 minutes! 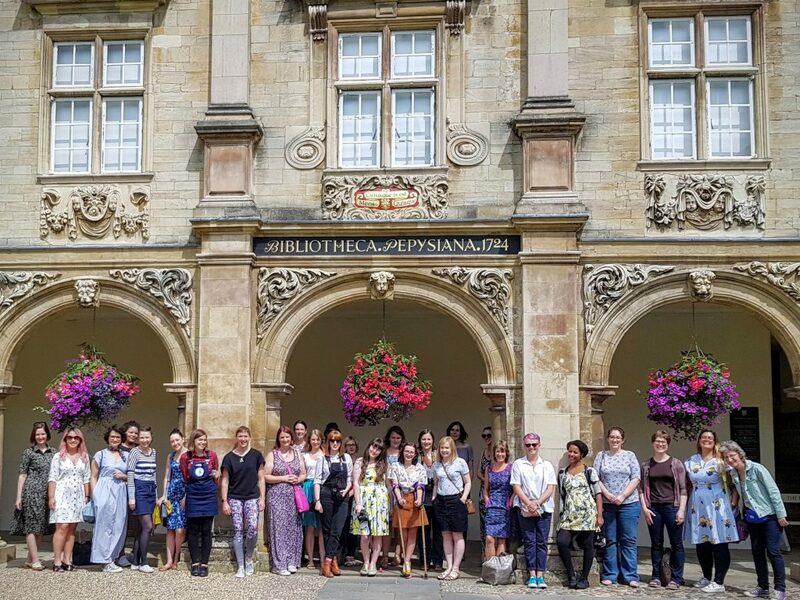 Organised by Kate & Rachel from The Fold Line and Charlotte from English Girl at Home, the Sewing Weekender is a sewing weekend break held at Murray Edwards College in Cambridge and sponsored by Adam Ross Fabrics. 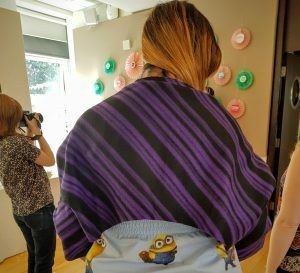 Everyone brought their current projects to work on but there were also talks, workshops and a lot of nattering and tea drinking! I’m not very good at decisions and couldn’t decide what projects to take with me, so in the end took four! 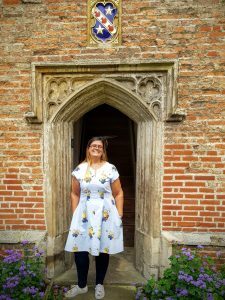 Although 50 sewing machines and 4 overlockers were kindly provided by Janome, I decided to take my overlocker with me, as 3 of my projects were mainly constructed using it! Plus being the car I didn’t have to worry too much. 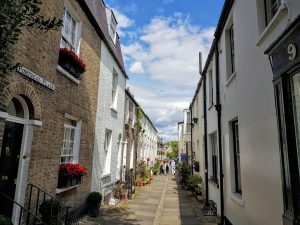 After travelling down south on Thursday to visit friends I made my way over to Cambridge Friday afternoon. 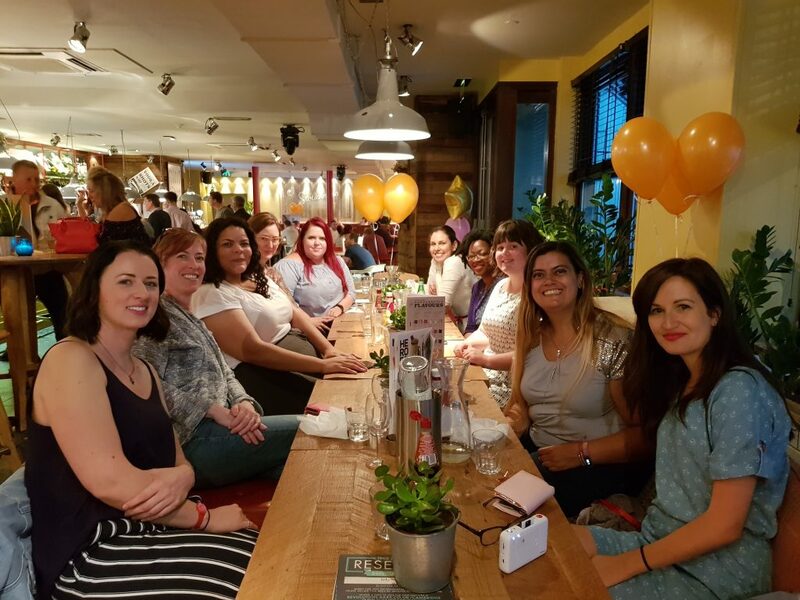 As there a few of us travelling long distances and staying over the Friday evening I decided to arrange a get together. Rudy from Roodles Runique very kindly agreed to help me organise this as she lives local but was unfortunately unable to get a sewing weekender ticket! 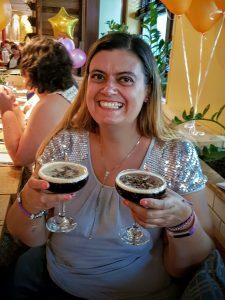 We then met up with a few more of the sewing weekenders for dinner and drinks in Revolution and I took full advantage of the 2-4-1 happy hour deal to enjoy my favourite espresso martinis! 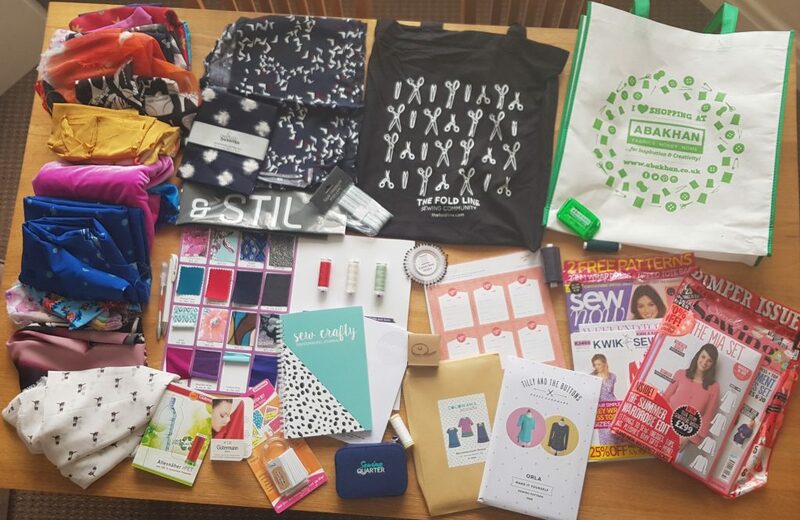 10am Saturday and it’s time to get started with the actual sewing weekender! The main room had been 2 long rows of tables running the length of the main room with Janome sewing machines, overlockers and ironing stations. I chose one of the first workstations as I had so much stuff and I’m not exactly known for being tidy! My lovely sewing buddies sat around me were Lois from Sewing Squares to my left, Harriet (& her lovely mum Lindsay) from Hobbling Handmades were opposite me, with Anna from Dippy Stitcher sitting next to her. 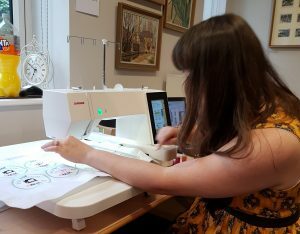 Most people walked into town for lunch but as I’m a wuss and it was pouring with rain (& eventually thunder too) I decided to stay behind and learn about machine embroidery with Ellie from Sew Positivity. 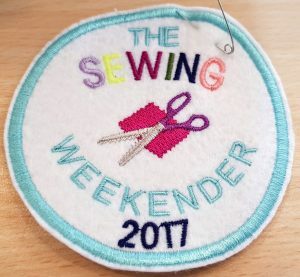 We made Sewing Weekender 2017 badges and had fun choosing our colours and watching the machine embroidering very fat! 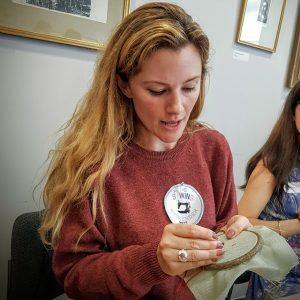 After lunch we had talks from Portia from Makery telling us about refashioning and then Fiona from Diary of a Chainstitcher telling us about the life of a Costume Supervisor. 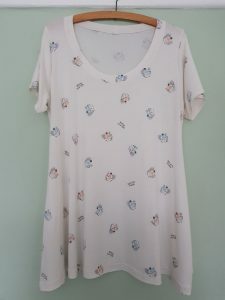 As a bit of a hoarder I found the refashioning fascinating as I hate throwing stuff away, so being able to breathe new life into garments is a must. 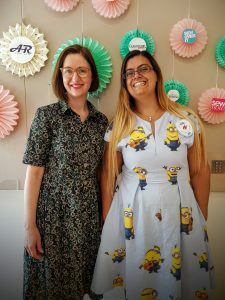 Fiona’s tales of a costume supervisor gave an intriguing insight into a world most of us never see and I’m incredibly jealous of her being able to go high-end fabric shopping when the show allows! I also managed to make a start on my Patterns for Pirate Pencil Skirt! I actually started the day by sewing! 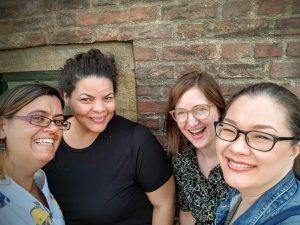 One of the great things about these meet-ups are being able to pick other peoples brains! 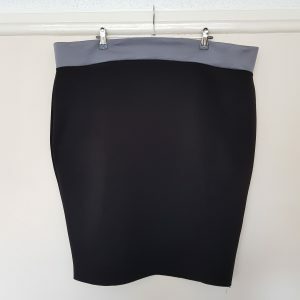 I was making my black pencil skirt from scuba ‘scraps’ left over from a circle skirt I made for my birthday night out and discovered I didn’t actually have enough for a waistband. I did however have some scuba in a similar weight, also from Abakhan (well the Birkenhead branch it at the top of my road!) but with a lace pattern and I wasn’t sure if it actually looked any good. However the ladies sewing around me suggested turning it inside out and using the plain grey wrong side as the right side and I think it works quite well, what do you think? 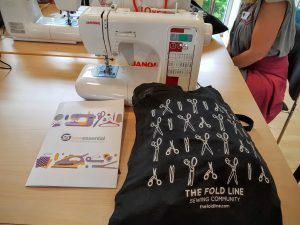 This sewing was completed around 2 more great talks from Melissa of Fehr Trade and Elena of Randomly Happy. 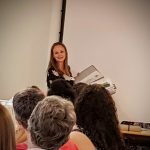 Melissa’s talk focused on fitting our garments for movement, not just standing and sitting, which is what fitting issues usually focus on! 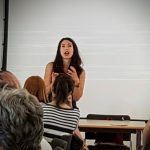 Elena’s talk was on Mindfulness in our sewing and really interested me as I’ve recently started a mindfulness course through work, to help me with my mental health issues and mild Chronic Fatigue Syndrome. 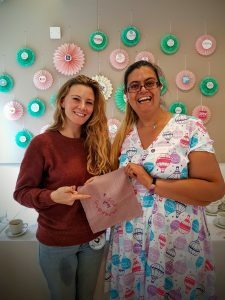 Sewing is our hobby and should be fun, not stressful and remembering to enjoy the process, not just focusing on the finished garments! As we were finishing off I got some great fitting help from the lovely Sue with my Cake Patterns Carmine Jacket. My first toile looks amazing but due to by rather large ‘bingo wings’ is unwearable! However when I cut out the largest size in order to accommodate these then it was way too big across the back. There’s still lots more work to do on the jacket, so I’ll blog about it when finished. 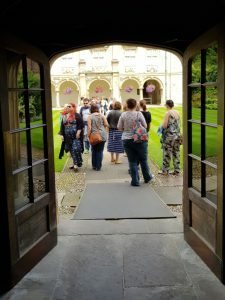 We then finished with a little photo walk into Cambridge seeing some of the colleges and nattering (of course) with the other sewing weekenders. And of course a few of us stragglers went off for lunch before setting off home! 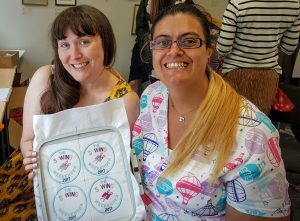 I have an amazing time at the sewing weekender, learnt lots of great stuff, had fun and meet lots of fabulous new people! 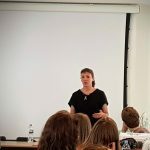 I only managed to get photos with a few of them but everyone was brilliant! oooh that looks like it was fun! 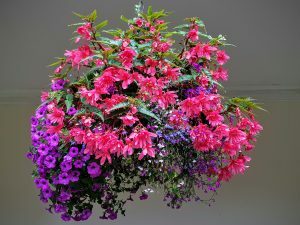 Wish I could have joined you…maybe some other year? 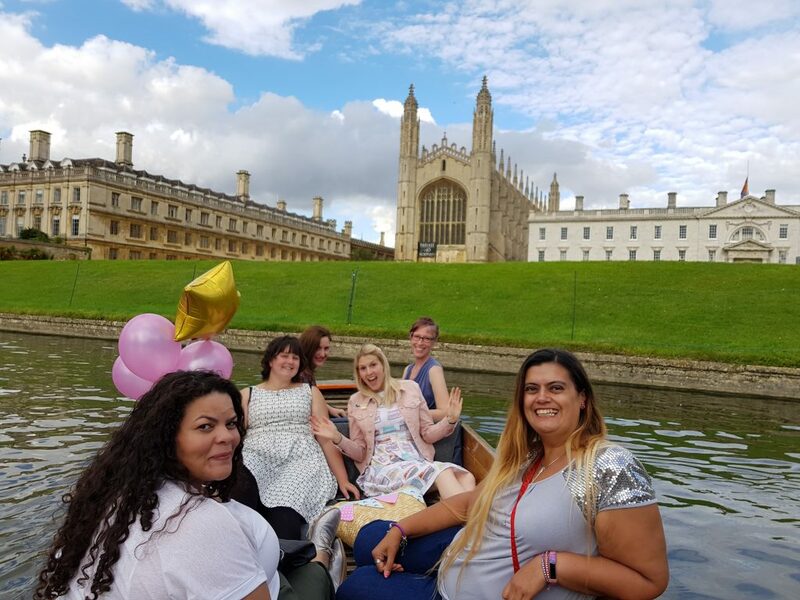 it looked like one fabulous weekend, so wish I could have join you all!